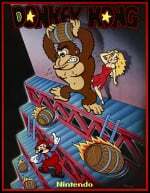 The Donkey Kong arcade was a key turning point for Nintendo as a company, as it brought Shigeru Miyamoto to the fore and helped to demonstrate to Hiroshi Yamauchi and his management that the video game business could be lucrative for the company. It's so iconic that a small band of gamers still compete for the world record, setting ludicrous scores and earning publicity in the process. We suspect that plenty of hidden retro Nintendo data and music is still waiting to be discovered, even in some of its oldest games. What is the first voice sample? hi? I don't know if the songs are used in the later projects though like I don't hear something familiar about them. I don't see any clips @ThomasBW84. I'm on Chrome mobile. Edit: even on desktop mode. @BensonUii Yeah, so I see. We'll have a look into it. Update: We don't think iframes are supported on mobile, so that's why they're not showing. They're definitely working on PC / Mac, so hopefully you can check them out another time. Sorry, not seeing these on OS X Yosemite in Safari either. Copy and paste though, some auto linking snafu is messing up the hyperlink. Today's going well! The voice samples sound exactly like the sound effects in Street Fighter II. @ThomasBW84 not sure if this is new but my Nintendo premium rewards account apparently expires at the end of this year! News to me it had a time limit, article worthy? @ULTRA-64 I'm afraid that's been the deal since day one, it was always scheduled to expire on 31st December this year. @ThomasBW84 gutted, was just getting into downloading games more and the rewards were a big part of that. Guess I missed some small print along the line somewhere. Oh well, good excuse for a pre-crimbo shopping spree to milk the most of it!! @ULTRA-64 Yeah, as Thomas has already said I'm pretty sure they made it quite clear at the start that it was only ever a scheme that was going to last for 2 years from the launch of the Wii U....it was something I always knew about even prior to buying my Wii U (on launch day) at any rate. You've only got up until the end of December to earn points, you still have until the middle of next year to redeem any £5 E-Shop codes you earn though. I think it's been a pretty good scheme, I don't even download retail games and I've made £30 credit back from it already, pretty sure I'll get at least another £5 or £10 by Xmas. To me it sounded like a person saying "hmph" originally before I had the volume for my computer speakers adjusted to hear it louder. Afterwards it sounded more like a person saying "hi". As for the audio for the other audio player below the word "voice", it sounded like a person saying "help" both before and after I had the volume adjusted. It's amazing that there's still hidden stuff in an older than thirty years old game. It makes me wonder if there will be new stuff uncovered in newer games like Super Mario 64 and Sonic Adventure 2 in the future. This could have been a great April Fool's joke. The first music sample I think was re-used in Donkey Kong '94, and the second one sounds like Mario Kart's victory theme. No way bra... Tha'ts aseome. Beta elements that are 33 years old as I am. Derp.